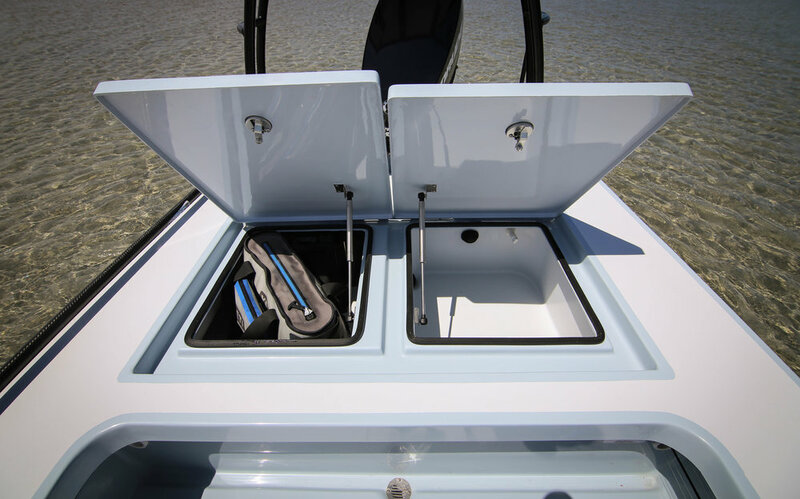 All the toughness of our hybrids wrapped into a traditional skiff design. 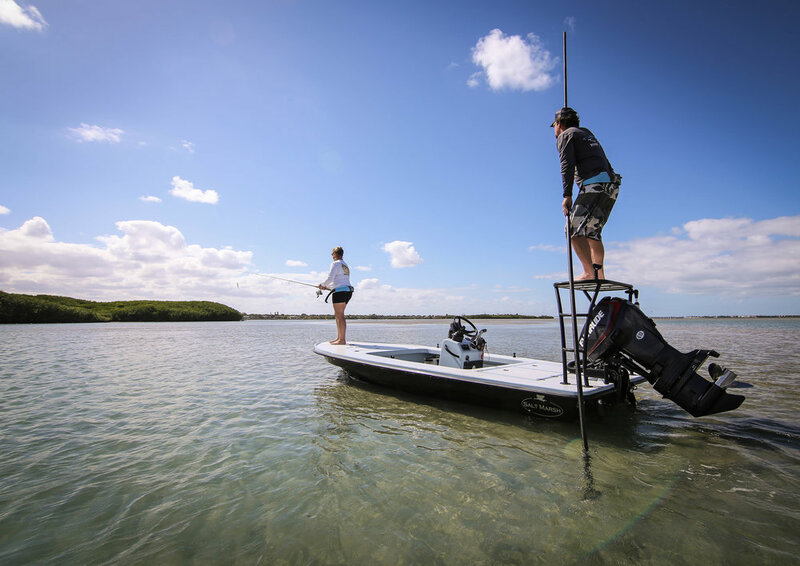 But don't let its workhorse heritage fool you, this skiff offers performance on a par with the top poling skiffs in the industry. It tracks straight, spins easily and is dead quiet in shallow water. The front "V" entry gives a great ride in a chop and the deep forward spray rails keep you dry. Its just an unbelievable all around skiff!